A uniquely British studio sound combining fantastic funky 60’s pop feel with English medieval instrumentation. 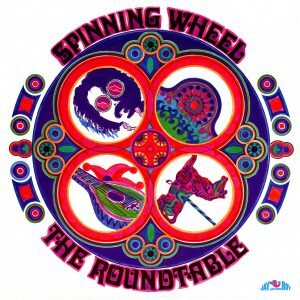 Recorded in 1969 studio band The Roundtable featured the Early Music Consort’s David Munrow and Chris Hogwood alongside UK jazzmen including Don Lusher, Kenny Clare and Kenny Baker. Conceived by Harry Roche producer Ken Barnes, this album mixed two drummers, Hammond organ, Harpsichord, and more esoteric instrumentation with a whole lotta groove. See below original sleeve notes for how they saw it all back then. Eli’s Comin’ and Saturday Gigue were licensed to Licorice Soul for a vinyl 45 which hit the club market in 2004.